Dressing properly is the first and most important step for an enjoyable and safe first-snow experience. Wear warm clothing including a hat, scarf, coat, gloves, socks, and close-toed, water-resistant shoes. Polarized sunglasses and sunblock are still important even though it is cold outside. The sun can still harm us during the daytime because the snow reflects UV light making it brighter outside. Invest in some good, water-resistant shoes or boots. UGG boots, while comfortable and fashionable, are not suitable for the snow because they are neither non-slip nor water-resistant. Protect your hands with mittens or gloves. Snow is beautiful to witness but also fun to touch! Even before playing with the snow, hands and toes will feel cold. Snowy weather can mean slippery, dangerous roads. Be very careful driving and check weather and traffic advisories frequently for a safe and informed travel. Plan your trip with plenty of time to get where you are going. Accelerate and decelerate slowly and with plenty of reaction time. Keep your distance from surrounding vehicles. Brake with plenty of time before stopping and plenty distance from other cars. Do not break or park on a hill. Try to avoid driving during heavy, active snowfall. There is plenty to enjoy in the snow! Here are some activities to make the most of your time. Take photos while the snow lasts! Selfies in the snow or artistic shots of snowflakes can make magical moments last a lifetime. 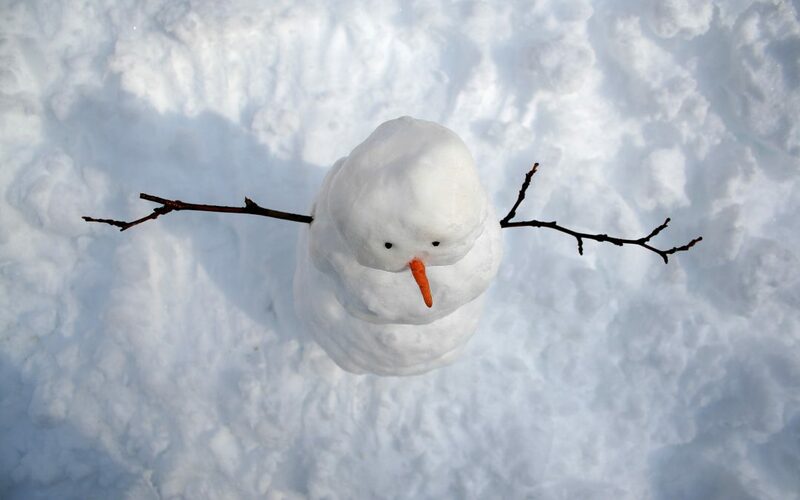 Have fun with classic and fun snow-themed activities such as building a snowman, starting (or finishing!) a snowball fight, or getting down in the snow and creating a snow angel. Plenty of sports require snow. Try out an athletic evening of skiing or snowboarding for a change!